I just finished the most amazing book. 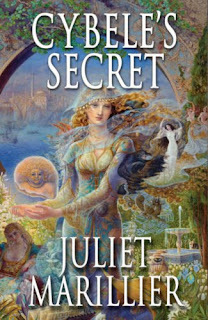 It's Cybele's Secret by Juliet Marillier. It is a companion novel to Wildwood Dancing, which is one of my new favorite books, and this is every bit just as good. I love how she creates this world where fantasy and reality go hand in hand and that the main under currant through the books are love and family. 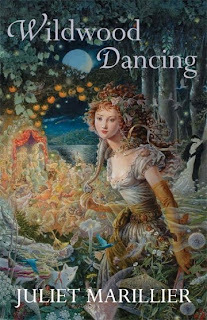 Wildwood Dancing is a story of 5 sisters who are granted permission to travel between the two worlds of fantasy and reality as they overcome mystery and intrigue; very much like the story of the 12 dancing princesses. The story is mostly about the older two sisters and takes place in Transilvania (I've never wanted to visit there so bad until I read this book!). Cybele's Secret is about the 4th sister, Paula, on a trade mission to Istanbul. The book doesn't follow any fairytale that I know of, It is very creativly put together with more mystery and adventure around an ancient world with pirates, secrets, and ancient religions. It is perhaps a little Indiana Jones-ish. Marillier makes the world they live in so tangible, she is an amazing author. Renton: Its not mescetti, its Bescetti! I love how my kids' minds work! I mentioned to my boys that Jory is now 3 months old. Eli was excited because he is 3 years old, so of course that makes them the same age. Then we discovered that if you put those two 3s next to each other then you have my age, 33. Then if you add the 3s (3+3) you get Renton's age, 6. How's that for pre-K -Kindergarten mathmatics, Windy? He got a lot of transformer stuff for his birthday. Renton is now 6! He celebrated with his class at school the same day as his friend Kristine who shares his birthday. They passed around treats, shared a poster about themselves, and sang. On his actual birthday we had Rose's family and Lorrelle and her daughters over for cake and presents. It was a really fun night! Renton wanted a soccer ball cake in the same colors as his team: red, white, and blue. It felt a little patriotic.